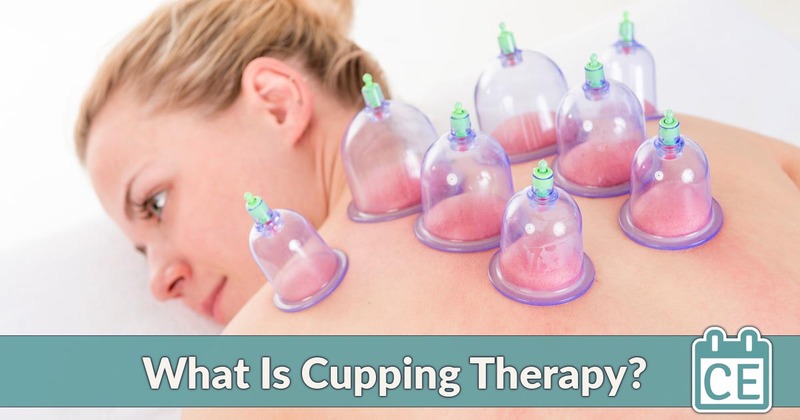 Home » Continuing Education » Cupping Therapy » What Is Cupping Therapy? With its telltale skin welts and recent popularity with Olympians, cupping therapy has become a sought-after modality. The ancient practice of using suction to stimulate blood flow has been a trusted tool of healers for thousands of years. Today, it’s an excellent compliment for massage practices focused on all kinds of work, from sports massage to energy-based bodywork. Evidence Informed Clinical Cupping – June 29, 2019 – Newington, Connecticut – Paul Kohlmeier, BPE, RMT, R.Ac. Evidence Informed Clinical Cupping – August 17, 2019 – Orlando, Florida – Paul Kohlmeier, BPE, RMT, R.Ac. Cupping therapy is an adapted Traditional Chinese modality believed to have been practiced as far back as Ancient Egyptian times. While contemporary cupping often focuses on the physiological benefits of cupping, Traditional Chinese practitioners rely on it to manipulate the flow of chi (or life force) through the body. 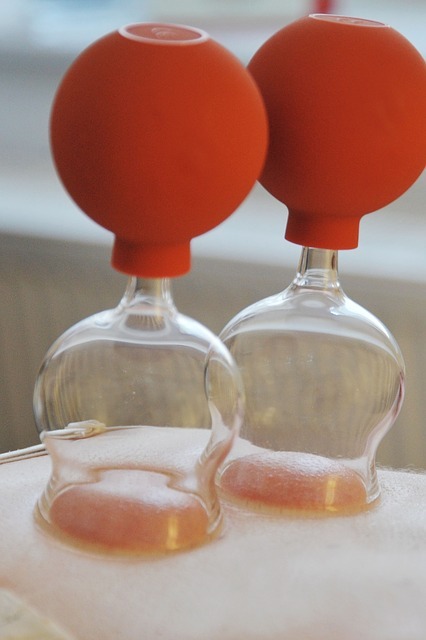 During a cupping session, the therapist places suction cups on the body to stimulate blood flow to key areas. Suction is created using either heat or a vacuum pump. The cups can be left in place or moved to stimulate a larger area. One of the hallmarks of cupping is the dark, bruise-like marks it leaves on the body. Cupping marks created a media stir during the 2016 summer Olympics when swimmer Michael Phelps came to events dotted with them. In fact, swimmers, runners, gymnasts and other athletes are devoted to the technique. Cupping therapy is all about blood flow. Practitioners believe that cup’s vacuum effect greatly enhance circulation, oxygenating the muscle fibers, and triggering a pain-reducing and restorative immune response to injured areas. The practitioner places sterilized cups on a sore muscle or Traditional Chinese Medicine energy meridian. Glass cups are the traditional tool, but plastic and flexible silicon cups have become common for safety and portability. Suction is activated. This is done with heat, a manual pump, an electronic pump, or by squeezing self-suctioning silicon cups. Suction slowly draws the skin into the cup, stimulating blood flow. The cups are then left in place for 10 to 15 minutes. In massage cupping, the massage therapist slides the cup over the surface of the skin, pulling the skin up as it moves. The therapist gently breaks the suction and lifts the cup away. In some cases, the practitioner may use light massage or brushing to reduce the appearance of cupping marks. Cupping is a quick, soothing therapy that offers targeted benefits to sore, injured or stiff areas. For many athletes, cupping benefits more than just their body. It becomes a little ritual that helps them relax and focus before or after an event. Cupping can also be practiced as part of Traditional Chinese Medicine. On its own or combined with modalities like shiatsu and reiki, it can be used by mind-body practitioners who want to work along their clients’ energy meridians. • Dry Cupping: The most common type, dry cupping is performed on bare, unbroken skin. The cups are placed for either physiological purposes, such as focusing on an injured shoulder, or following energy meridians. They’re left for a set period of time before being removed. • Wet cupping: Also known as hijama or “blood cupping“, wet cupping is a bloodletting technique performed for religious or medicinal purposes. Before the cups are positioned, small cuts or abrasions are made on the skin. Practitioners believe the technique removes stagnant blood, draws out toxins and clears blockages in energy meridians. • Fire cupping: Fire cupping is a method of producing suction. It can be used in both wet and dry cupping sessions. The practitioner heats the inside of the cup with an open flame and quickly places it on the skin. As the air in the cup cools and contracts, a vacuum is created. • Face cupping: Face cupping is a non-invasive spa technique designed to reduce the appearance of wrinkles on the face, neck, and chest. It uses mild suction to help reduce puffiness and make skin appear more plump. Because it helps relax facial muscles, it can also be used to address migraine headaches and TMJ pain. A traditional cupping certification takes an average of 24 credit hours to achieve. Training includes sterilization and safety protocols as well as training in effective cup placement. Massage cupping classes start at just a few credit hours, but therapists seeking to become proficient will take more training. Cupping therapy can be a savvy addition to practices tailored to athletes, mobile business looking for a standout service, and holistic practices looking to branch further into Traditional Chinese Medicine. A small investment in training and equipment could pay for itself quickly in the right market.